If you missed #12 click here. Best Moment: It's got to be the skateboarding right?? Spyro 3 for me, like Crash 3, is as good as the Spyro games ever got. There's so many parallels between the building of the Crash and Spyro games - the first ones set the foundations, the second games raised the bar significantly, then the third games really set the icing on the respective cakes. 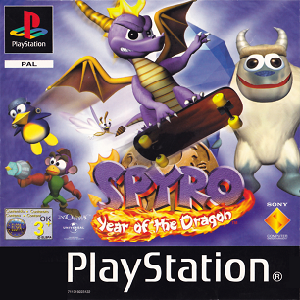 Sure, I may prefer Spyro 1 to Spyro 2, but I'm sure if I actually played Spyro 2 growing up, my opinion would have changed. But Spyro 3 is a masterpiece. 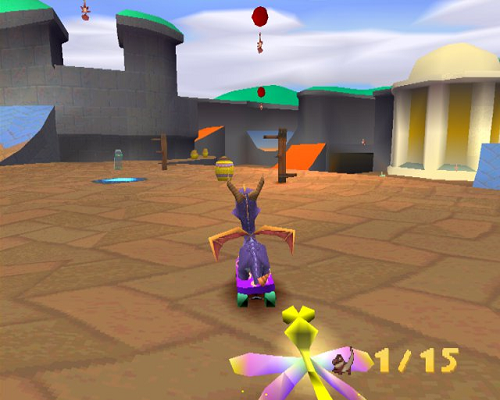 With the abilities that you learn from the first game, they added a lot more mini games in this Spyro game. And instead of saving adult dragons like in Spyro 1, you have to save the dragon eggs and help them hatch into baby dragons - which, by the way, are super cute. The music is splendid, the Sparx minigames are super fun 2D style games and the plot feels a lot more fleshed out in comparison to Spyro 2. The level designs are excellent, and the layout of each world is really well done, something that Spyro 2 really confused me with when I played that. All in all Spyro 3 is simply one of the best platformers ever made, and certainly the best in the Spyro trilogy, and I can't wait to play it on the Remaster in September. So what game kicks off my Top 10? Click here to find out!